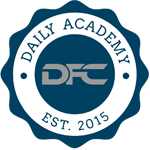 A key component of success in DFS is being able to notice trends and filter out the noise. Trends are important for a myriad of reasons. You can uncover a player whose minutes are trending upward or downward and use that information to determine your lineups. Some players have fantasy point (FP) splits that are significant, such as home/road splits. These are examples of actual trends that you can utilize in your contests and lineup building that will help you become a better, more successful player. Targeting players who are on hot or cold streaks is another thing to note while doing your research, but at times it needs to be taken with a grain of salt. When players are mired in a cold streak, their salary will likely be depressed, sometimes significantly, making studs into mid-range plays and mid-range plays into elite values. If players are on a hot streak, they make for great targets, but once their price is inflated to a certain level, it becomes increasingly difficult for that player to return value on their salary. Finding a middle ground between the two is key to taking advantage of streaks. Another trend that can be taken into account is Defense vs. Position (DvP). A team can have a high or low DvP against a certain position over the course of the season, yet have had struggles recently, making them a good target for daily contests. For instance, Portland is allowing the most FPPG to opposing SG over the last 3 weeks, but is allowing the 12 th-most for the season. This is a situation that you can exploit when doing your daily research. However, DvP numbers can be subjective depending on the source, so tread lightly when incorporating this aspect of the game into your research. Monitoring injuries is a trend that is vital to your success as a DFS player, due to the fact that each time a player is injured, new players step into the role previously occupied by the injured player. Sometimes the waters can be murky when trying to decipher a new injury, so monitoring beat writers on Twitter, especially in the final hour before rosters lock will give you a great idea of what to expect from that team and situation not only for the night, but for the foreseeable future. Noise can come in various ways. One example is seeing a player being talked about on Twitter, message boards, podcasts, etc., due to a great matchup. It is worth noting that simply because a player has a perceived great matchup, it is not a guarantee that he will be successful in that situation. Bench players who draw starts due to injury is another great example. These players will generally be underpriced and seem to be a lock for value and upside. A great way to avoid these types of scenarios is to look at usage rates for the entire team with and without the injured player, in order to get a true glimpse into which players will receive a sizeable increase in minutes and production. Another thing to note is that when a player is being touted by a majority of analysts, writers and industry experts, there are two ways to approach the situation. One approach is to follow the herd and roster the player who is in an ideal situation, especially in cash games, where fading a highly owned player is more likely to hurt you than help you. The opposite is true in some instances in GPPs. If there is a player who will likely have a high ownership percentage, fading that player can be very beneficial. For instance, with Kevin Durant injured, Russell Westbrook is known as a nearly automatic play for cash games and GPPs throughout the industry. Fading him is generally a losing proposition in this scenario. However, there are viable alternatives at times that can pay enormous dividends. I'll give you an example. On February 24 th, Russell Westbrook ($10,600) was 65% owned in the $20 Crossover on DraftKings, while Stephen Curry ($9,900) was 10% owned. Westbrook outscored Curry, but only by 2.75 points. If you rostered Curry over Westbrook, you were gaining ground on 90% of the field with every FP, rather than just 35% if you rostered Westbrook.These situations are always tricky, but it is important to note that there is a sizeable edge to be had if you nail the right pick on any given night. The last piece of advice is to make sure you are getting your information from a reliable source. Information that comes directly from a team's official Twitter account or confirmed beat writers can be trusted. However, bad information can spread like wildfire, so make 100% certain that you have the right information before allowing it to alter your decision-making.